5" McLAREN P1 WITH PRINTING - Sailing (U.S.) International Corp.
Kinsmart KT5393DF - 5" McLaren P1 with printing. diecast collectible model car. 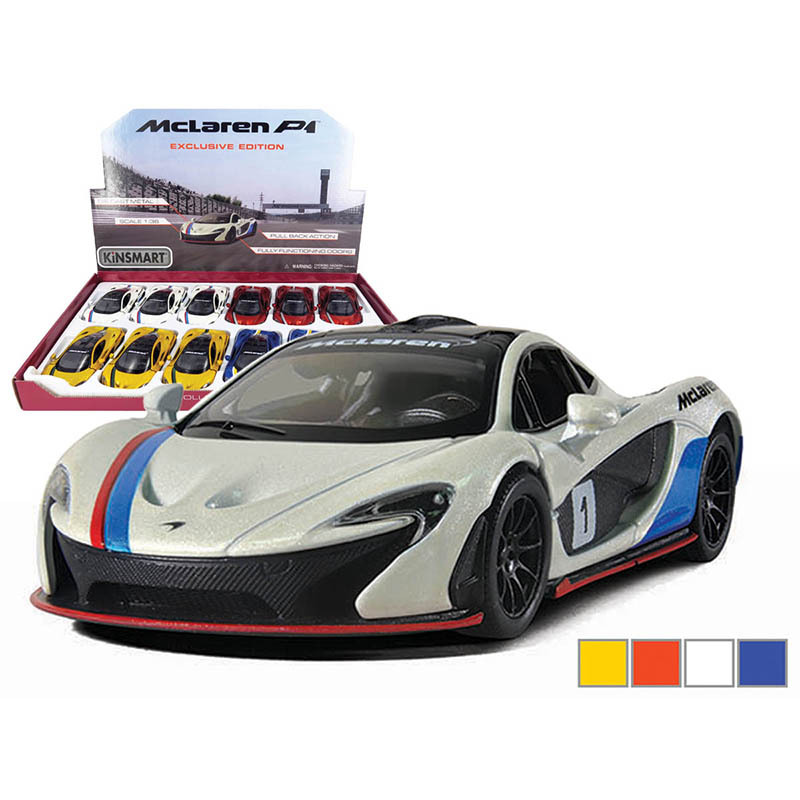 This McLaren P1 is a 5" long die cast metal car with pullback motor action. 12 pcs per display box and in assorted colors. 72 pcs per inner box, 144 pcs case pack.